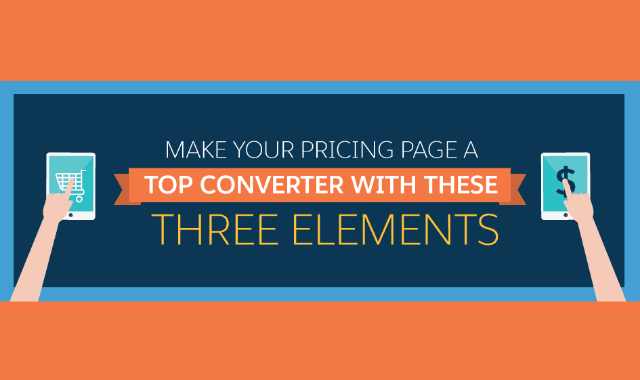 Make Your Pricing Page A Top Converter With These Three Elements #Infographic ~ Visualistan '+g+"
Thanks to the internet and mobile phones, the days of omitting pricing from a site in the hopes that people will contact you directly are officially over. When customers visit a website, they want to see clear pricing options, as well as what they can expect at each price point. Below, are three steps—a clean layout, easy-to-understand copy, and highlighting—to make your pricing page stand out.